Feast or famine, the classic entrepreneurial challenge. As a business owner you’ll have times when your physical and creative energy is low, and you start to question it all. You’ll be scared that if you spend a day in your flannel pj’s watching This is Us on Netflix surrounded by crumpled up tissues – that somehow your business won’t survive. You built a business to have more time and freedom, but now taking a break is scary and it feels like you’ll never regain your momentum. How do I know all of this? Because I’ve been there. Not just last week – but this exact same time last year as well! I’ve had two tricky Octobers in a row. 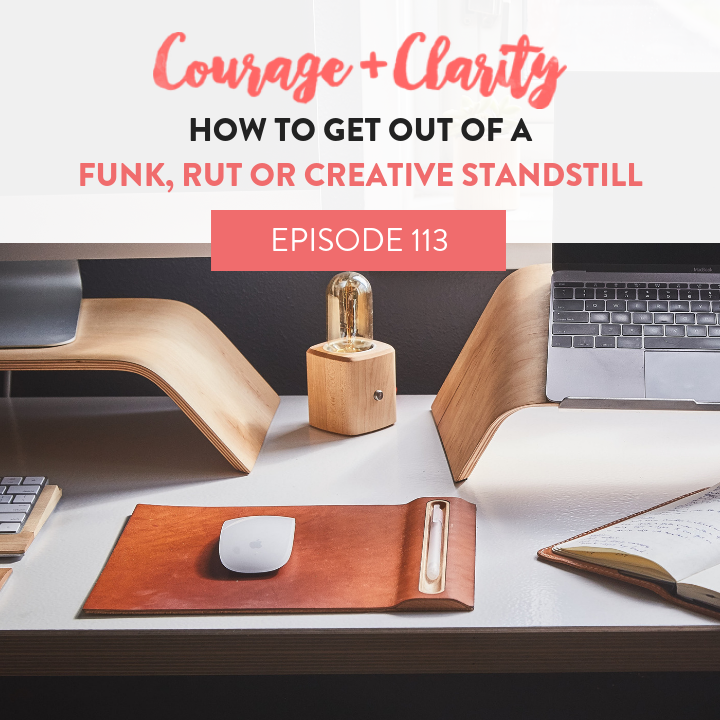 And since I’ve just experienced one, I’m sharing how to lean into a funk. Because as much as we always want to get “out” of it as quickly as possible, the only way out is through. The good news is if you take a step back and acknowledge your patterns, you can handle a much-needed break or a surprise funk with skill and ease. You know, instead of thinking your world and business is crashing and burning to an end. Seriously, my greatest idea from last year, the 15 Minute Planner, even came from the tail end of a “funk”! Strategic Pause - How to plan out a break on your calendar that makes sure you gain confidence in stepping away from your business knowing it will be there when you come back. Ownership- A necessary break in the flow of your business isn’t an excuse for a “woe is me” crisis. You’ve got to trust that you’ve got the creativity and skills to figure it out! Trust- Trust that “future you” can handle it and course correct. In order to give yourself and your business the space you need, you’ve got to believe this! Cramming vs Resting - Doubling your work so you can take a bit of time off isn’t a rest. It’s cramming. Instead, change the questions to – how do I work less? What can I Say no to? What ball can I drop? Join us in the Courage and Clarity Community on Facebook!